We provide Cassandra consulting and Kafka consulting services. The Cloudurable Quickstart Mentoring Services Package is designed to help your team to launch Cassandra or Kafka in AWS/EC2. We pair your team with out team for maximum knowledge transfer. This services package provides focused provides our expertise in designing and deploying Cassandra in EC2/AWS with monitoring and support Cassandra or Kafka in AWS/EC2. We can provide boots on the ground to implemented or we can pair up with your team to mentor and co-develop. 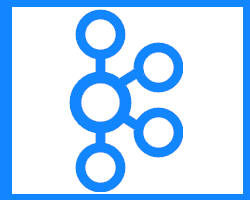 We provide the same Quickstart program for Kafka or Cassandra running in AWS. We can mentor your developers and DevOps support. Cloudurable consulting services share best practices and know how to solve common problems rapidly. The cost benefits are months of your team not spinning their wheels or worse making costly mistakes that cause complex upgrades, downtime or inefficient use of Cassandra. We also help you setup monitoring and logging so if there is an issue it will be easier for our support team (Support subscription pricing for Cassandra and Kafka.) and your team to track it down. Our support tools work in an AWS / EC2 environment. We provide ad hoc support as well as subscription support plans for every budget. This Cloudurable Quickstart Mentoring Services package is designed to quickly support a production application running in EC2/AWS for Cassandra or Kafka.